You deserve the best dental care around. At San Diego Premier Dental Group, we offer the most advanced, high-quality, low-cost and patient centered services for your entire family. Whether you need a routine cleaning or advanced dental work, Dr. Dena is certified and experienced in preserving your smile. During your visit, Dr. Dena and his team will perform a thorough oral examination, discuss treatment options, and answer all your questions. At San Diego Premier Dentistry, we take a conservative approach to healing your smile by only performing necessary treatments for a healthy and beautiful smile. As one of the most trusted dentists in the area, you can feel comfortable putting your dental health in Dr. Dena's hands. 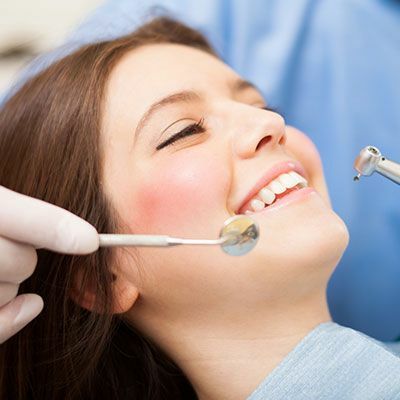 At San Diego Premier Dental Group, we offer a comfortable atmosphere, using the most advanced dental technologies, so you can feel as relaxed and at-ease as possible. My passion for helping others achieve lasting self-confidence through a healthy smile has led me to become a trusted dentist in Encinitas, Carlsbad, and Del-Mar. Assisting others in obtaining the smile of their dreams gives me immense personal satisfaction. I take pride in being one of the few dentists in the area who offer a kind and compassionate approach through the application of gentle dentistry. I have an extensive background as an emergency dentist, cosmetic dentist, and family dentist offering comprehensive dental care for my patients of every age. From teeth whitening to dental implants, we have a full service practice here at San Diego Premier Dental Group. 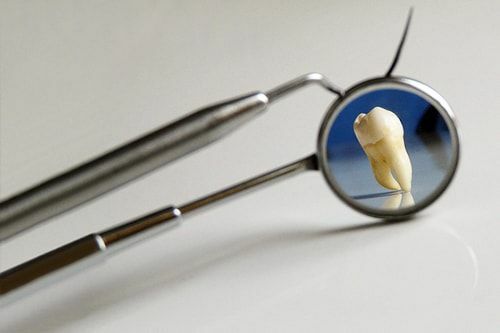 There are a variety of different materials that can be used for filling teeth. No one type of filling is best for everyone. 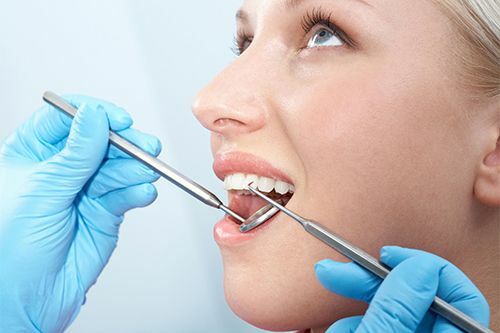 What’s right for you will be determined by the extent of the repair, whether you have allergies to certain materials, where in your mouth the filling is needed, and the cost. 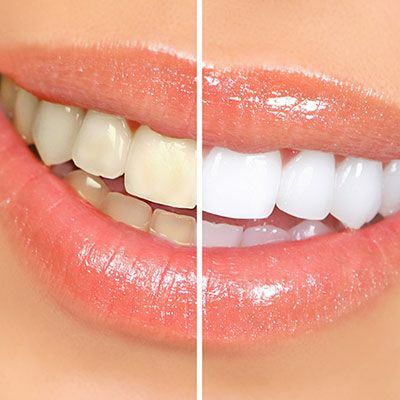 Get brighter, whiter smile in 1 visit with teeth whitening. Want brighter, whiter teeth that will make you look great and years younger? In about 1 hour you can get dazzling white teeth. Brighten your smile dramatically with safe and effective teeth whitening in our office or in the comfort of your home own home. Preventative Dentistry in our dental office is focused on maintaining your optimal oral wellness through comprehensive, proactive care. Dr. Dena takes an in-depth approach to preserving the strength and longevity of a healthy smile. 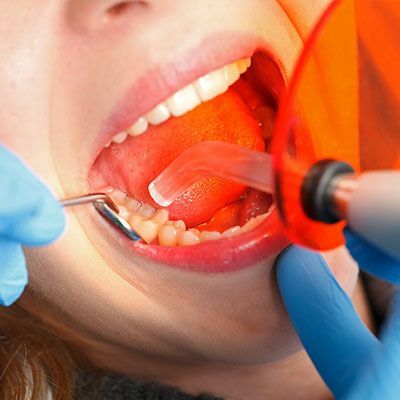 Regular dental cleaning is the process of removing plaque and tarter that is above the gums and deep cleaning is the process of removing plaque, tarter and calculus (hard form of plaque) that is below the gums. 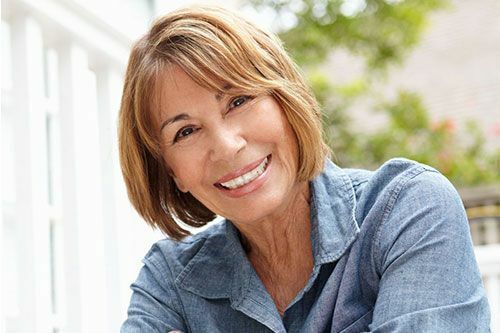 If you are looking for an alternative to dentures and bridges that provides permanent replacement of missing teeth, dental implants may be the answer. Dental implants can significantly enhance the function of your teeth and the appearance of your smile. 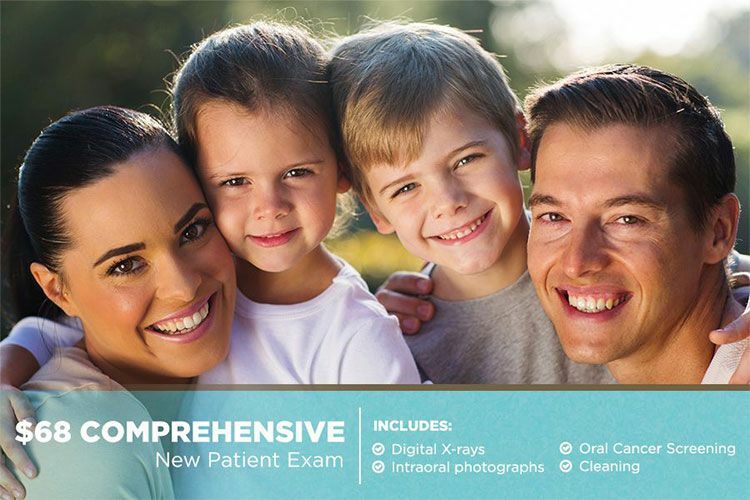 ​​​​​​​after you have your initial exam, x-rays and cleaning with Dr. Dena! We have practiced family dentistry in Encinitas for over 16 years and see patients of all ages. Our dental office is designed for your peace of mind and total relaxation. From the moment of your arrival, our staff helps to ensure your visit is a pleasant one with a comfortable reception area and the highest level of consideration and attention. You will realize that San Diego Premier Dental is a high-tech office with a very cozy atmosphere. Soothing background music, comfortable chairs, warm blankets and refreshments make your visit comfortable and pampered with most treatments requiring one or two visits! You can also bring your favorite music or iPod for an entertaining experience. Just had my first visit with Dr. Dena and had the most amazing experience. Dr. Dena and his staff are truly first class and are extremely professional. 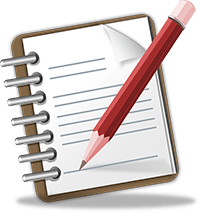 During my exam, Dr. Dena quickly identified several areas that needed to be fixed then explained how he could remedy it all while ensuring that my insurance covered all the procedures. He even waived some of the costs since I was a new patient! The dental hygienist was super nice as well. All in all, if you need a new dentist, look no further. Dr. Dena is the dentist for you. I did not have to wait long to make appointment with Dr Dena, examination was thorough. Dr Dena explained how treatment will proceed and the charges are very reasonable. The front desk ladies are very professional and courteous....It was a pleasant experience! Dr. Dena does your cleaning himself, and he is the best, by far, that I have had. His cleanings are usually ​​​​​​​complete painless. The office is quiet and very well run. Excellent service, professional staff ​​​​​​​and overall a wonderful experience! Highly recommended! I have been coming to Dr. Dena my whole life he's a very kind and gentle dentist. From the clouds on his ceiling to the tranquil little water fountains in the lobby, the vibe in his facility is very calming and relaxing. Also extremely clean. I highly recommend him to anyone! He will definitely leave you with a beautiful smile. Best dentist in town hands down !! 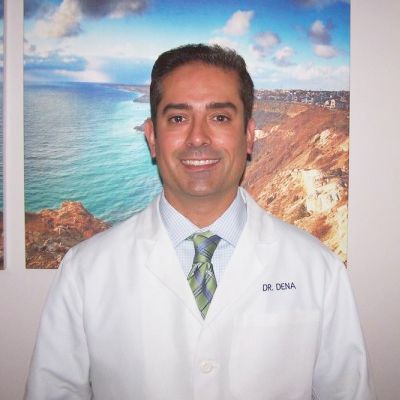 Dr. Dena is compassionate, caring , kind, and gentle towards his patients! He truly does care and takes his time ! His office is always clean and smells fresh and you are always welcomed by a friendly staff at desk ( Paula and Rita )! His dental assistant is wonderful as well ! They always greet you with a smile and take care of your needs ! I highly recommend this practice. Thank you for always providing me with a positive experience! Dr. Dena and all the staff are amazing!! They are always so helpful, professional, and really care about their patients. Highly recommended!! I usually don't go to dentists in Encinitas as it's a bit of a drive for me, but I went into San Diego Premier Dental group to fix a chipped tooth & I was incredibly pleased with the whole experience. The atmosphere was warm, the staff was friendly, & Dr. Dena is the real deal when it comes to Encinitas dentists. First of all, Dr. Dena was punctual. All other experiences I've had with dentists start with a 15 minute wait when I show up on time. Not this time. The minute I walked in I was greeted by the friendly staff & was brought to the room where I was greeted by Dr. Dena who made me feel at home. Dr. Dena thoroughly examined my chipped tooth & fixed it like it never even happened. Dr. Dena & staff made my day. One this I can say about Dr. Dena is he really cares about his patients and tries to deliver the best possible experience you can have at a dentist office. 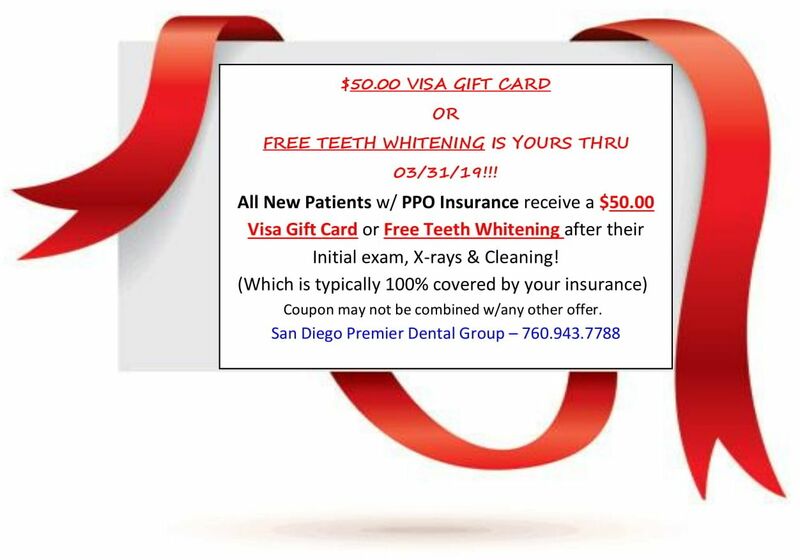 I will definitely make the drive to San Diego Premier Dental Group for all my dental needs in the future from cleanings to teeth whitenings & more. Even if you live far from his office, it's worth the drive to experience the best dentist in Encinitas. Thank you Dr. Dena and staff for your great dental care. It is important to find a professional, ethical, caring, and honest dentist and dental staff. I have found Dr. Dena and his staff to be all of that and more. I understand that dental care and maintaining my own teeth can be expensive and costly deal but thanks to Dr. Dena, I visit him for regular cleaning and X-Ray, 2 times in a year and have been able to enjoy having my own teeth and saving lots of money, pain, and agony. Dr Dena is wonderful. His staff is very professional and so helpful. If you fear going to the dentist, you must see Dr Dena. My family and I have been coming here for 7yrs. Dr.Dena is a very gentle dentist. I've never experienced any type of discomfort while getting my teeth worked on. My kids enjoy getting their teeth cleaned too!! I wouldn't go anywhere else but here. Dr. Dena is phenomenal. He has advanced training in his field and it showed in his meticulous attention to detail. His passion for what he does shines through and he made my visit 100% comfortable and fun. I highly recommend this office. I have been seeing Dr. Den for several years now and have zero complaints. I've never had him suggest any dental work that wasn't necessary as he truly cares about his patients and quality of work over his ​​​​​​​pocket book. Amazing experience everytime. Dr Dena has extensive experience and is friendly and personble. He is asomeone you can really trust when it comes to keeping your teeth and gums in good shape. Highly recommended. My friend who referred me to Dr. Dena said he was thorough and professional but did not try to up sell you unnecessary treatments. He was completely correct. They are very accommodating with scheduling availability and see you promptly. Can’t ask for more. Dr. Dena's is the best! Everyone is so friendly, quick, and efficient. The receptionist always has your paperwork waiting for you. I have been going here for 5 years and have never had to wait more than 5 minutes and Dr. Dena always comes right in and explains everything thoroughly and shows you pictures of the pictures taken. Love them!! Best experience I have ever had at the dentist! Every time I have an appointment my paperwork is on the counter ready to go... the staff does a fantastic job & Dr. Dena does great work! We have been going to Dr. Dena since 2004! He has been taking care of my entire family for all of these years! Unfortunately we had to step away from this office for a couple of years due to a career change and as a result both of my teenagers ended up with a cavity! Now we are back in good hands again! Dr. Dena has a special talent,, he makes everything better and more beautiful! Both of my kids had cavities and both didn't know that Dr. Dena had given them injection for numbing. They didn't feel any pain or discomfort! We are so happy to be back in good hands and under care of someone who truly cares for his patients and pays close attention to making everything perfect! I'm now 44 and my teeth look better than they did in my 20s all thanks to him! I only trust Dr. Dena with our needs and so happy to be back here!! He is honest, talented, friendly and yet very professional and also graduated with a top 2% of his class! That alone tells me how well educated he is! Also a big thanks to his wonderful and knowledgable staff! !